The little unassuming bakery, Patisserie Claude, on West 4th makes one of the best quiches in my opinion. They are always incredibly creamy and cheesy with a flaky buttery crust. I couldn’t resist picking one up for dinner tonight when I passed by. 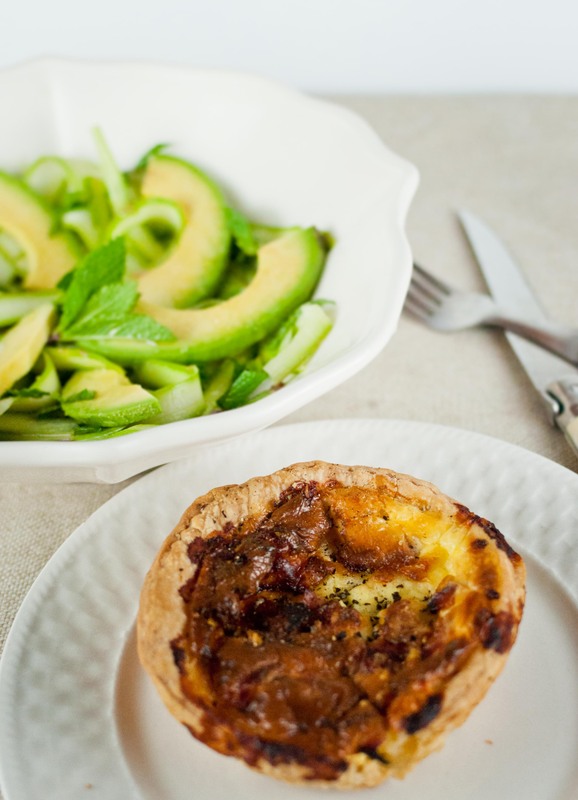 While I warmed up the individual ham quiche, I threw together a light spring salad with asparagus, avocado and mint inspired by Co. A simple healthy seasonal dinner for one ready in less than 10 minutes.